Corporate wellness involves strategies to improve the health and well being of your employees. Because no two companies are exactly alike and employees’ needs can differ greatly, we help our clients develop customized corporate wellness strategies. We start by surveying your team and observing the workplace. From there, we can help you start to develop and implement programs in your office. These programs may include components like physical activity, finding a work-life balance, nutrition, and more. Your corporate wellness strategy will be more specific, possibly including a healthcare program, free gym memberships, anti-smoking incentives, ergonomic programs, counseling, and more. Corporate wellness can help increase productivity in the workplace, reduce company healthcare expenses, and increase morale among your employees. Your company’s corporate wellness strategy will benefit both the employees participating and those who choose to opt out. 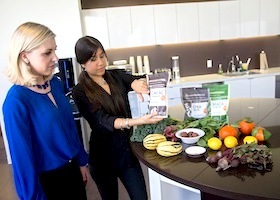 The employees who do participate in the corporate wellness strategies will be healthier and happier. When your employees are happier and healthier, they will feel better about their jobs, be more productive during the workday, take fewer sick days, and use their health insurance less. You also may see increased morale among those who don’t participate, as just knowing that you care about their wellness is enough for some.